the fash pack: is this global warming? look at what we saw outside our office window yesterday at about 4pm, after a whole afternoon of rain... you couldn't see the tops of the buildings on the left and right. 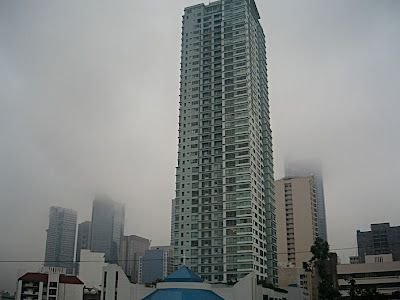 could it really be fog over makati city?